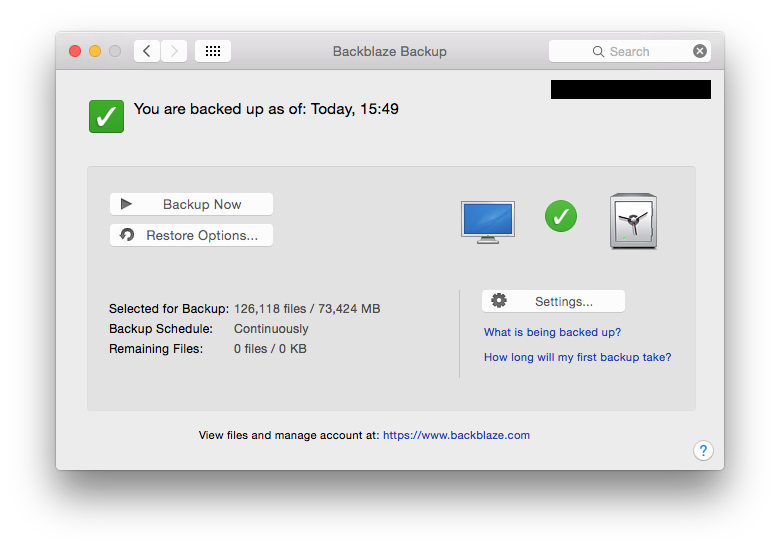 To open the Backblaze Preferences, you can use either the System Preferences pane, the menu bar icon, or the application file. You will find a screenshot of each below. To access your System Preferences pane, select the “” menu from the top left hand side of your screen and select the “System Preferences” selection from the associated drop down menu. The menu bar icon will typically be found at the top right hand side of your screen, to the left of your system clock. 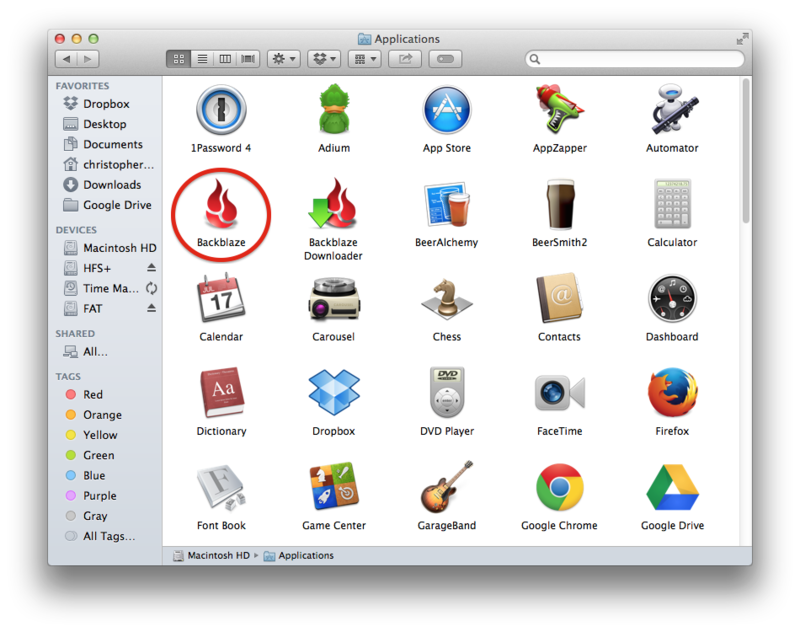 Here you will find the Backblaze application file shown in the Applications directory.